Log in to My Orders to track progress or request help through the order details page. This dress is Made-To-Order. Whether you choose a standard size or custom measurements, our tailors craft each dress to order (See Tailoring Time). By selecting "Custom Size", your dress will be personally tailored for your exact fit. Fill in your measurements in centimeters to get your item specially tailor-made for you. Click "cancel" button if you want to input your measurements in inch. Please note a US$ 19.99 fee applies. 36% of customers buy the item featured on this page. Notes: Beading will be done in the same color as you pick for your dress. The dress does not include any accessories in the picture, such as wraps/jackets, gloves, veil, handbag, etc. You may contact us to order the accessories separately. Correct measurements are the prerequisites of getting a perfect fitting dress. Before ordering a made-to-order dress from AmorModa.com, you are encouraged to get measured correctly by a professional local tailor. We would like to emphasize that measuring yourself at home is trickier than you think. Check out our useful guide for how to properly take your measurements. This is not your bra size! From the edge of the shoulder socket, measure up over the curve of the shoulders passing across the center base of the neck to the other shoulder edge. Sturdy cardboard box accompanies every dress. Your comment was submitted successfully! Please note that your comment will be monitored over the next 24 hours for any inappropriate content.Thank you for visiting AmorModa.com! - A rush order fee of will apply if you need this dress to arrive within week from the ordering date. 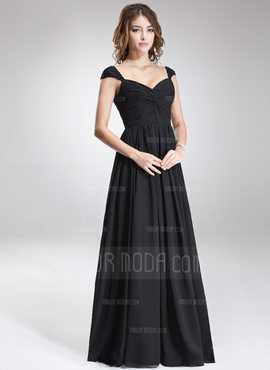 - A rush order fee of will apply if you need the dress to arrive within weeks from the ordering date. Wholesale, resale, dropshipping, and corporate customers can use this form to request a quote on a bulk order. Please enter your valid email address. Thank you.